This Background Set for the Medium Digital Shed from Impact is comprised of a black and a white replacement background for the ones that ship with the Light Shed, as well as a gray background. 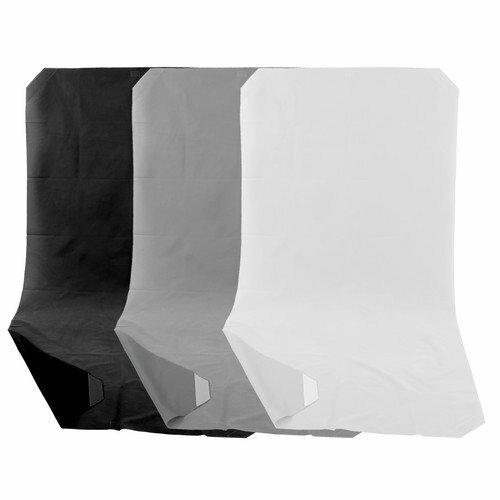 The black cloth is a good choice for isolating mid- to light-toned objects against a detail-less background. The white does the same for darker objects while the medium gray is a good, neutral all-purpose choice.